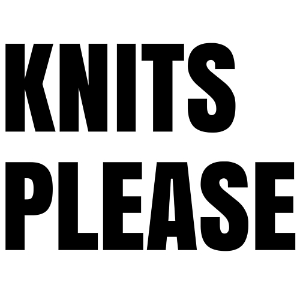 At Knits Please, I am committed to maintaining the trust and confidence of website visitors and newsletter subscribers. I will only use the data you provide in the ways I specifically state. All content on Knits Please is copyrighted and was created by Jess Johnson of Knits Please, unless otherwise stated. When you, or anyone else, visits my website www.knitsplease.co.uk I use a third party service, WordPress, to collect standard internet log information and details of visitor behaviour patterns. This is for my own marketing purposes to find out which pages are most popular on the website, and to research customer patterns within the website. I do not access any of your personal data using WordPress and I do not allow WordPress or anyone else to make an attempt to find out the identities of those visiting the site. If I do want to collect any personal data that identifies you through the website, I will be upfront and honest about this, and will give you the right to opt out at any time of giving me your data, or any personal details whatsoever. If you sign up to the Knits Please newsletter, I will collect your name and email address to allow me to send this to you. This information is stored securely via MailChimp and is only accessible by me. I use MailChimp’s reports to gather statistics around email opening and clicks using industry standard technologies to help me monitor and improve my newsletter. For information around how Mailchimp use your data please see their privacy notice. I send my newsletter monthly, sharing up-to-date news, offers and information, with further one-off emails when I have timely news to share, like tester applications or pattern releases. I will also share anything else I believe will be of interest to you, such as blog posts and tutorials. 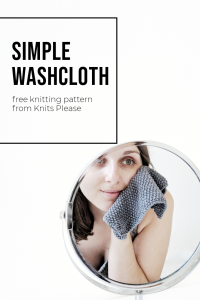 You have the option to unsubscribe at any time to my e-newsletter, either by clicking the unsubscribe link at the bottom of any of my emails or by emailing hello@knitsplease.co.uk. If you have purchased a product through Knits Please, your name, address and email address will be collected. his information is stored securely via WooCommerce and PayPal and is only accessible by me. I use both WooCommerce and PayPal’s reports to gather information on sales patterns and customer locations using industry standard technologies to help me monitor and improve my product offerings. Some (but not all) of the links on Knits Please are affiliate links, which allows me to make a small amount of money on items purchased via those links at no extra cost to yourself. I would never sell, trade or share your information with a third party without your permission. This does not include website hosting partners and other parties that assist with the running of this website, as long as those parties have strict policies of their own to keep your information safe, secure and confidential. I reserve the right to release information in the unlikely event that it’s appropriate to comply with the law or to protect my own or others’ rights, property or safety.